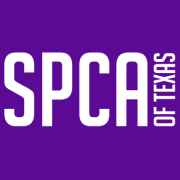 The SPCA of Texas is the leading animal welfare agency in North Texas. We operate two animal shelters, located near downtown Dallas and in McKinney, which, together with our community partners for offsite adoptions, find homes for more than 6,000 animals each year. We do not euthanize animals for lack of space and we do not place time limits on animals housed in our shelters. We also operate public veterinary clinics in West Dallas, South Oak Cliff and McKinney to provide high-quality pet care at affordable prices and we collaborate with community partners to spay or neuter tens of thousands of animals each year. In a typical year, our five-member Rescue and Investigations team responds to 2,000 calls and rescues more than 1,000 abandoned or cruelly treated animals in 8 North Texas counties. Our education and outreach programs reach more than 20,000 Texans each year with a message of compassion and responsibility. Our independent non-profit organization is not affiliated with the ASPCA or any other humane society and we do not receive taxpayer funding. Your support helps us make life better for more than 50,000 animals and the people who love them - right here in our community. Would you recommend SPCA of Texas? I want to personally help and take care of the animals to be responsible , and get in my community service . I need 5hours at the max.